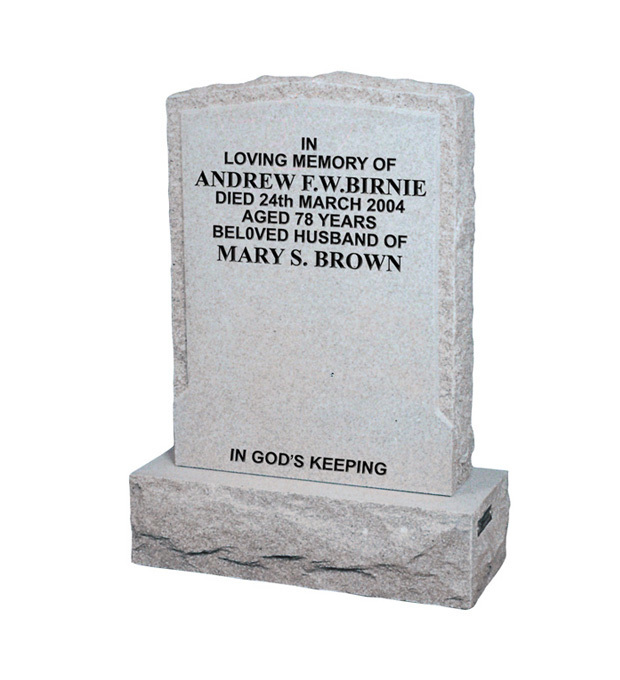 This memorial is illustrated in 'Karin Grey' granite with a rustic margin. The headstone has a sanded face and back with rustic edges. The base has a sanded top and rustic sides. Trade customers please log in to view Birnie purchasing options.